This Neapolitan-style pizzeria and restaurant, named for the owner's father, offers both standard pizza and traditional margherita pies, as well as half-red, half-white pies. 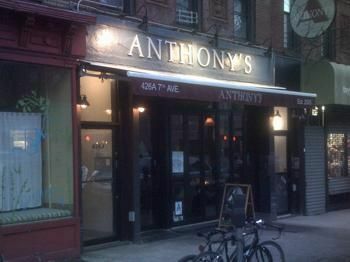 Anthony's also serves classic Southern Italian fare such as chicken marsala, spaghetti puttanesca and manicotti. A traditional ragu sauce is served on Sundays.